“Ingenious” isn’t a word we throw around easily, especially when it comes to makeup. 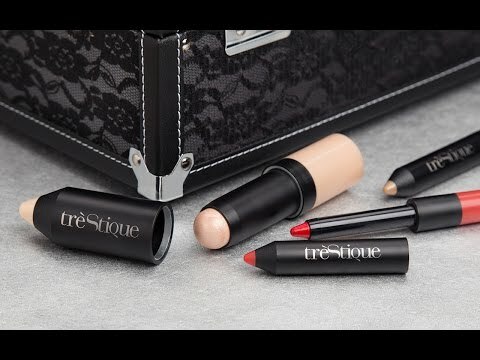 But trèStiQue’s versatile makeup earns that adjective with its brilliant design. The crayon-style stick is a lip pencil and glossy balm in one. And its cap stays closed thanks to (this is so smart) a magnet—avoiding makeup-y messes in your bag or drawers. Even when the cap is on, you can keep your crayons straight thanks to the cap's crayon-like look, complete with color-coordinated tip. The creamy gel texture is rich but lightweight, and was formulated to be long-lasting. Line your lips with an on-trend matte color and finish it off with a layer of balm for shine. This is just what I needed for summer. I use both ends. Very soothing for summer lips.